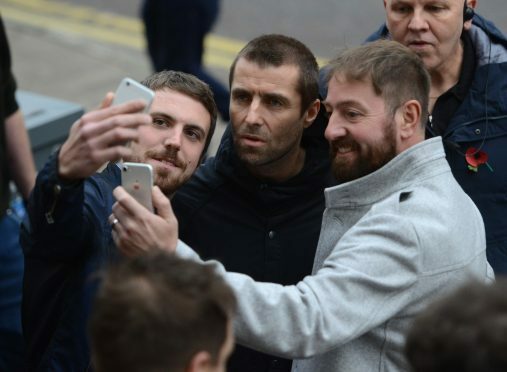 Ex-Oasis frontman Liam Gallagher has begun filming for his new music video in Glasgow today – in the venue where the world famous band were signed. 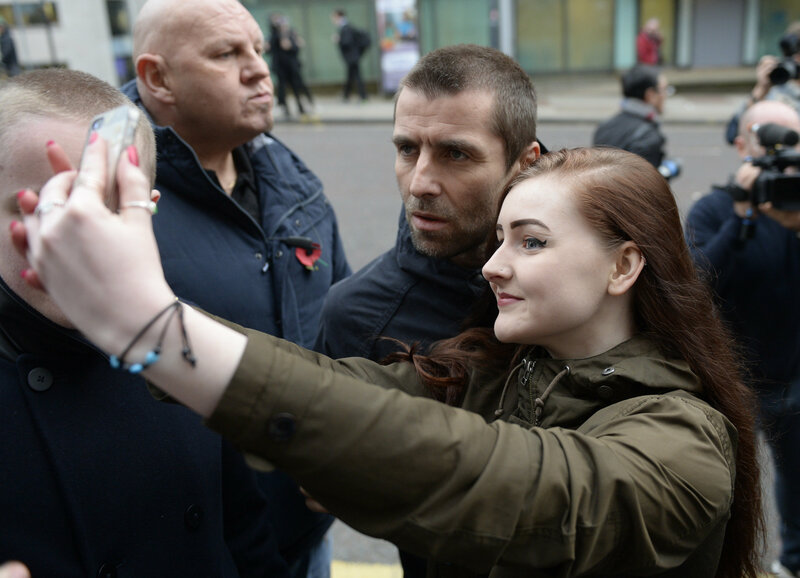 Gallagher previously called for extras to apply to appear in his new video in late October, though didn’t reveal the location. But he was seen filming for the video at King Tut’s Wah Wah Hut — where the legendary rock band Oasis were famously signed by Alan McGee in 1993. The 300-capacity club has played host to some of the world’s top bands including Coldplay, Blur, Biffy Clyro, White Stripes, The Strokes, Kings of Leon and Radiohead. But it was a night in 1993 when two rowdy Mancunian brothers played to just 69 fans that really put King Tut’s on the map. Hundreds of fans gathered in the city this afternoon to catch a sight of the superstar, who greeted them looking casual in a black hooded jumper and dark jeans. 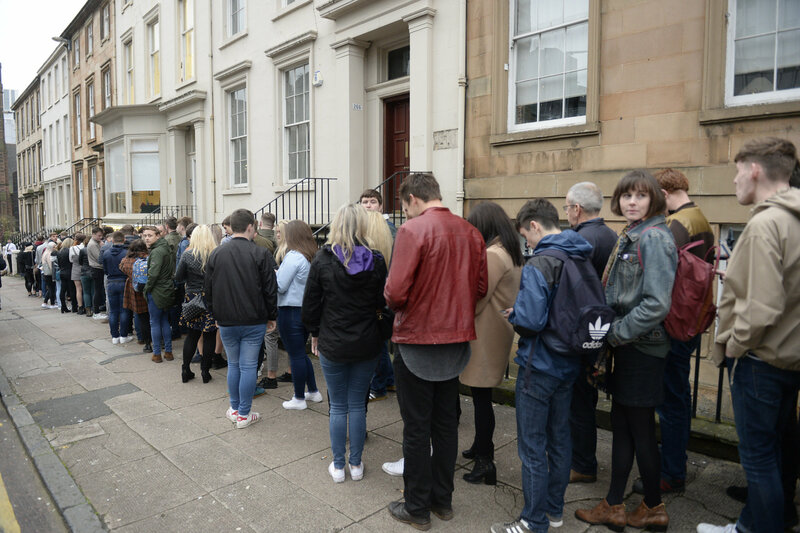 Hundreds of fans queued outside the venue to get a chance to be his music video. Extras had their bags searched on the way in and said they didn’t know what lay in store for them. Two fans kitted out in Oasis styled clothes were eagerly waiting to get in. Reece McGill, 19, who sported a Gallagher style haircut, said: “We’ve not been told what song it’s going to be. “We’ve not been told what music video it’s for and we don’t know what we’ll need to do. Only a select few were randomly picked through a raffle draw to feature in the video. And four “gutted” teenagers were turned down for not having a confirmation email. The rock singer’s debut solo album As You Were shot to No.1 in the charts.